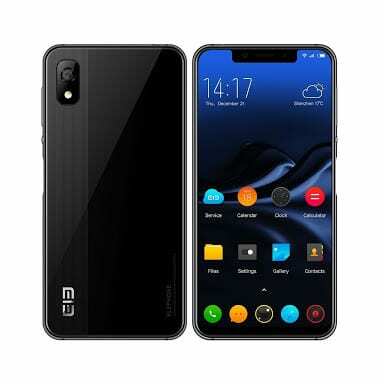 The Elephone A4 has officially been released by Elephone on their official website. This is coming after fans were waiting to see the Elephone E4 with the trending top-notch. The A4 is budget friendly smartphone that gives great value for money and with amazing specs and features. The device sports the trending notch display, packs 16GB storage and dishes out 19:9 aspect ratio. Without further ado, meet the Elephone A4. What is Elephone A4 Price and Availability Status? Made from Metal and polished to perfection. The Elephone A4 is a good looking budget smartphone to be honest, but disappointingly it doesn’t come with a rear fingerprint scanner. The fingerprint scanner was moved to the side in a not so flattering position. Only the rear camera and dual-LED flash sits at the top left corner in a vertical position. Furthermore, the Elephone logo is visible at the bottom left corner. It measures 7.8mm in thickness nonetheless and weighs 164g overall. Flows with the current trend and sports a bezel-less notch display, dishing out an 19:9 aspect ratio, with no navigation buttons whatsoever on the tiny bottom bezel. The top notch however houses the selfie camera, earpiece and sensors. While the side bezels is almost non-existent. The 5.85-inch HD+ LTPS IPS LCD capacitive touchscreen is simply beautiful and stunning for a budget smartphone. Boasting of a resolution of 1440 x 720 pixels with 282 pixel per inch density. Impressively, the screen stretches up to 79% screen to body ratio. Under the hood is the Mediatek Helio P10 MTK6739 chip with quad-core processor and 64-bit CPU architecture. The 4-cores of processor runs at a fast speed of 1.5GHz with 28nm process technology. Managing graphics is the PowerVR GE8100 graphics processor which clocks at 700MHz. There’s just 3GB of RAM here for multitasking, with a memory speed of 667MHz. While for storage, 16GB is available as well and you can upgrade up to 128GB using a memory card. The Elephone A4 runs on Android 8.1 Oreo. The 8MP rear camera on the Elephone A4 is simply brilliant, capturing 3K resolution images. The Samsung shooter has f/2.2 aperture and comes with a LED flash with other features like Laser Auto Focus and the rest. For selfies, the 5MP OV8858 selfie camera does its job pretty nicely. Powering the Elephone A4 is a 3000mAh non-removable Li-Po battery with no fast charging feature but nonetheless without the fast charging feature, it shouldn’t take more than 3 hours to fully charge up the battery from 0% to 100%. The Elephone A4 is available on Shopping stores starting from $99 (N30,000) to $149 (N40,000). Click on the links above to view the latest Elephone A4 price & availability. This device is well built, it’s a mid-rang phone but it quite good. The features are not bad all, 3000mAh battery still very much okay. But my only concern is the software, at least, it should be given Android 7.0 Nougat. The phone has Android 8.1. And BTW the article is wrong as it does come with fast charging. 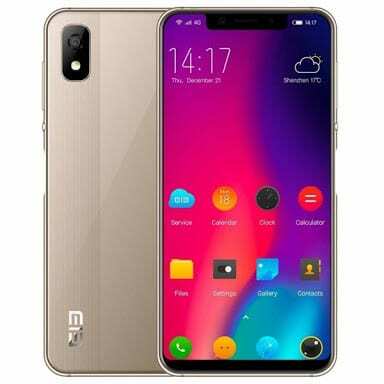 This would have be One of the best smartphone ever made in mid range sector but since NO SD card surpport, me do not like. Actually It has SD support and fast charging and will come with Oreo out the box! Chaii, i was happy when reading till i saw NO SD CARD, why ooo! ?